DS8229 framed glass shower door seals – a clear ribbed shaped flexible soft framed glass replacement seal which slides into the drip rail with no tools needed. 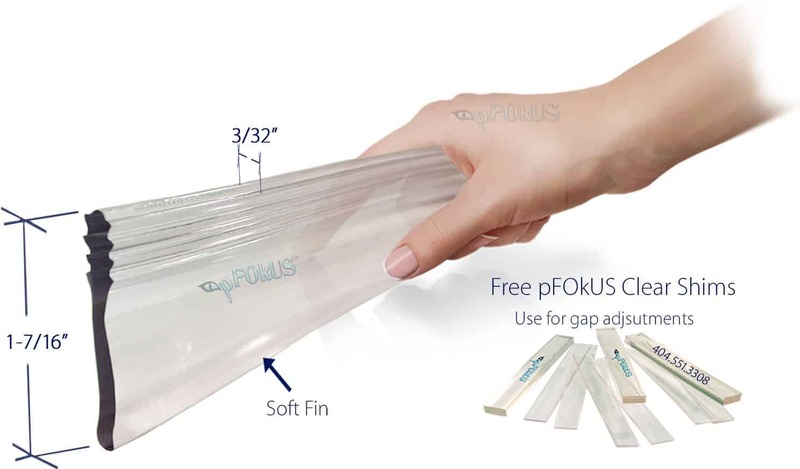 pFOkUS shower door seals are clear in color and manufactured from the highest quality materials. To see more styles of shower door drip rail seals click the link below. Aluminum drip rail and seal. 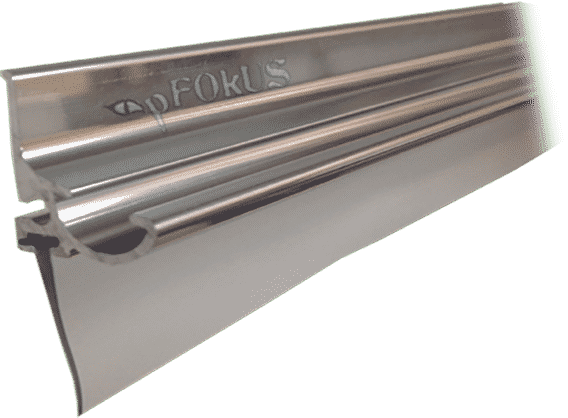 The pFOkUS replacement drip rails are constructed of aluminum and come in 4 different colors, brush nickel, oil rubbed bronze, chrome and brass (gold). They are installed with double sided tape which is included takes only minutes to install. A glass restoration in a bottle. Now bring your glass shower door to life and remove all the etching and water spots. There are no tools required, just a little elbow grease and Benaz. 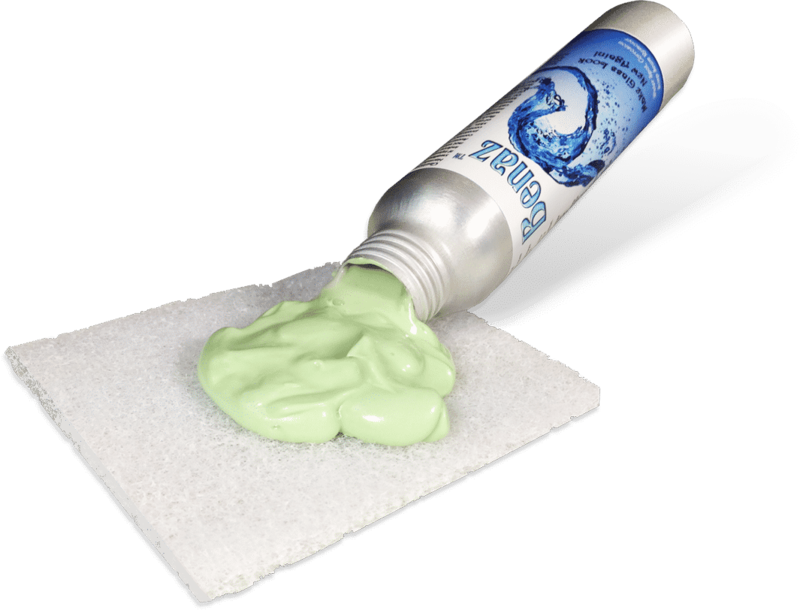 Before replacing your framed glass shower door seal or drip rail, Use Benaz water spot and etching remover. 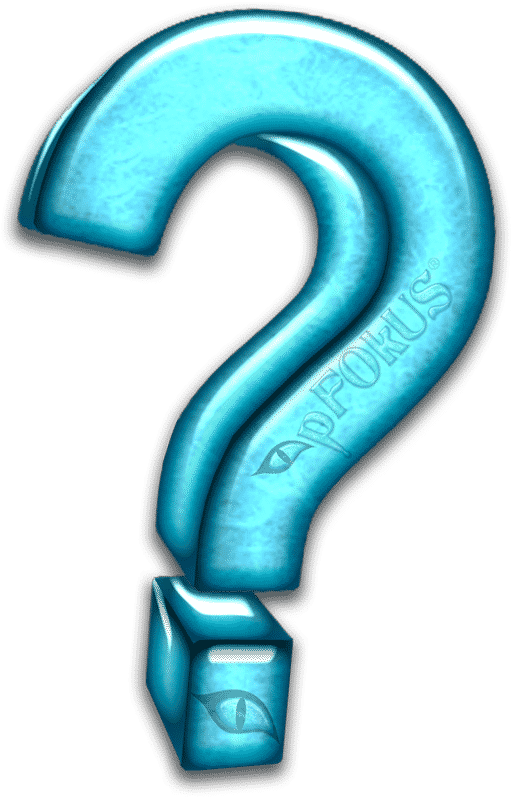 Creating a hydrophilic surface is key to eliminating water dots. Valore seals your shower glass with molecular technology. Simply spray Valore across the shower glass after Benaz treatment on older glass or for newer glass, apply Valore then wipe clean. Shower within minutes after application. Is DS8229 the only shower door seal you carry for drip rails? What color is the replacement DS8229 glass shower door seal? What if the DS8229 framed glass shower door seals is longer than my current door size? Mark the seal with a sharpie marker. Use a pair of scissors or a utility knife to trim the shower door seal to match your door length. My shower door glass is etched very bad, how do I remove it? 5 years is usually the life span of all of the shower door replacement seals. we manufacture. Make sure you have your door adjusted correctly or it will cause the seal to tear or wear. Most all framed glass shower doors are 36” or smaller. How do I remove my old glass shower door seal? Simply remove the old seal by sliding it out of the one end of the drip rail.